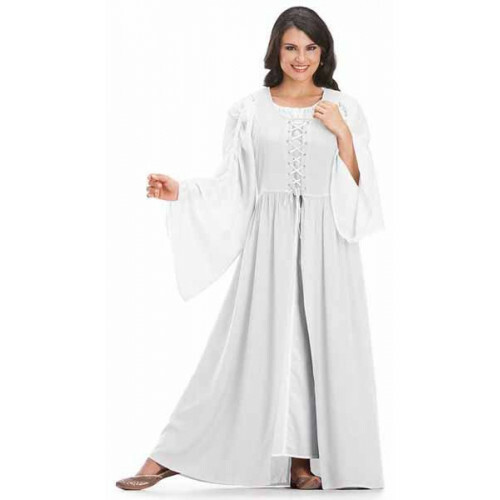 Order Bronwyn Maxi Medieval Two Piece Dress Set from HolyClothing, in size S-5X in six colors. 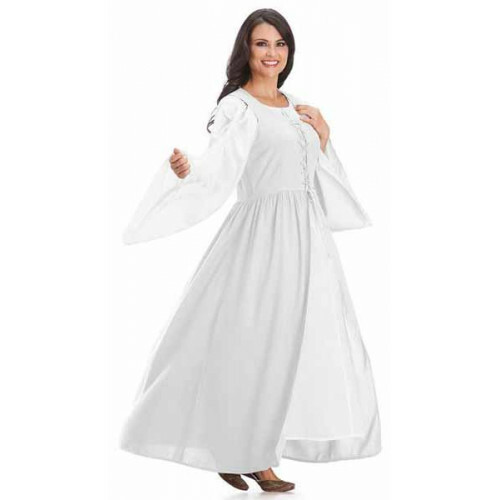 The Bronwyn Maxi Two Piece Dress Set comprises of a laced viscose overdress and white cotton chemise in medieval inspired styles. These two dresses are sold together as a set with the laced, but with open skirt, overdress in Ivory White and with the cotton chemise in white. The chemise has laces at sleeves and neckline for easy adjustment in size and length or if you like the off-the-shoulder look. 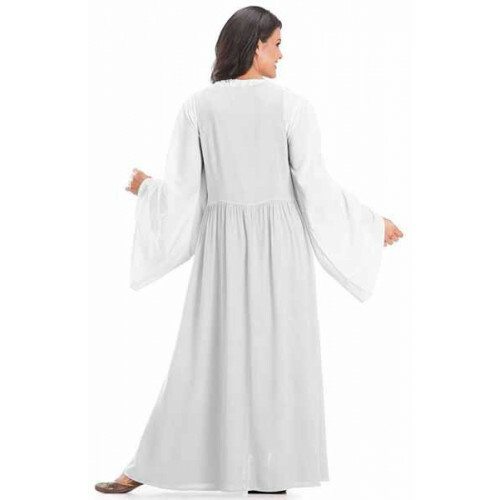 Bronwyn Maxi looks great together with a belt for easy access to all your medieval accessories. The Bronwyn Maxi overdress is made of viscose, a natural fabric made of wood fibres, and the white chemise is made of cotton. Click here to order the Bronwyn Maxi two piece dress set from HolyClothing. Enter code unicorn15 at checkout to get a 15% discount. Garment measurements in cm for the Bronwyn Maxi dress set Overdress*. Garment measurements in cm for the Bronwyn set Chemise*. This garment is made and dyed by hand, in this order. Color going by the same name will very seldom have been dyed together and will therefore not be in the exact same shade. Any irregularities with this garment is what makes it unique and is part of its charm. Wash this garment carefully by hand in lukewarm water, or you may run it through a washing machine in no more than 30° C (almost cold) water. Always wash this garment inside out to protect the embroidery and color. Always wash your new garment before wearing it, and wash it separately to prevent staining. When washing your garment for the first time, use a cup of salt instead of any washing detergent. This will protect the vibrant colors and prevent fading. If you want to iron your garment, use a lukewarm iron and with your garment turned inside out to protect it. With time, as the garment gets softer, the need for any ironing will diminish. Just hang your wet garment with care, and carefully straighten all seams and embroidery.